“Love is patient…..” This scripture can apply to making dark chocolate heart cookies with fondant decorations for Valentine’s Day. Islander loves to bake but sometimes decorating cookies tries her patience. These cookies are like the chocolate wafers that we made before but Islander wanted to try out her new fondant imprint mat to decorate them. It really makes a great impression when the cookies go from plain to pretty! 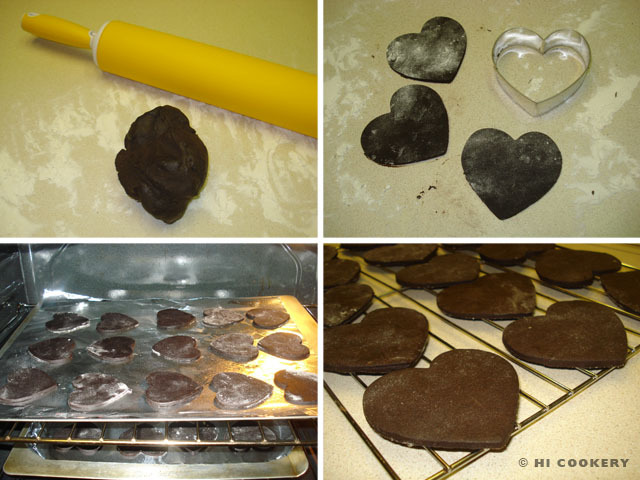 Dark chocolate heart cookies with fondant decorations may be time-consuming to make but are worth it when loved ones like to eat them all on Valentine’s Day. In a large mixing bowl, cream the butter with sugar until smooth. Beat in the egg. Stir in the vanilla. 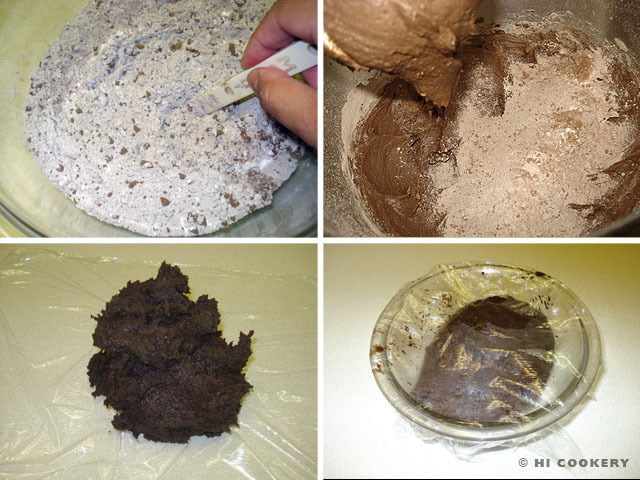 In a separate bowl, combine the flour, cocoa powder, salt and cinnamon. 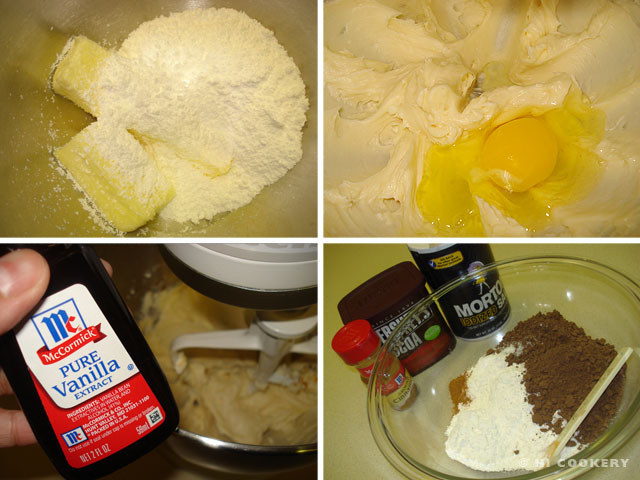 Gradually add these ingredients to the butter mixture. Blend until a soft dough forms. Make a ball and cover with plastic wrap. Refrigerate to firm the dough for at least an hour. Remove the dough from the refrigerator and work in small portions at a time. On a lightly floured surface, roll out a piece of dough to no thicker than ¼ inch. Cut out with a heart-shaped cookie cutter, re-rolling scraps as necessary. Place on a lightly greased cookie sheet and refrigerate for 10 minutes. Bake in a preheated oven at 350 degrees F for 15 minutes. Remove the cookies from the oven and let sit in the cookie sheet for about 5 minutes before transferring to a wire rack. Cool completely to crisp up a bit. Store in an airtight container until ready to decorate with fondant. On a surface dusted with powdered sugar, roll out the fondant to 1/8 inch thick. Place on an impression mat and press gently over the surface. 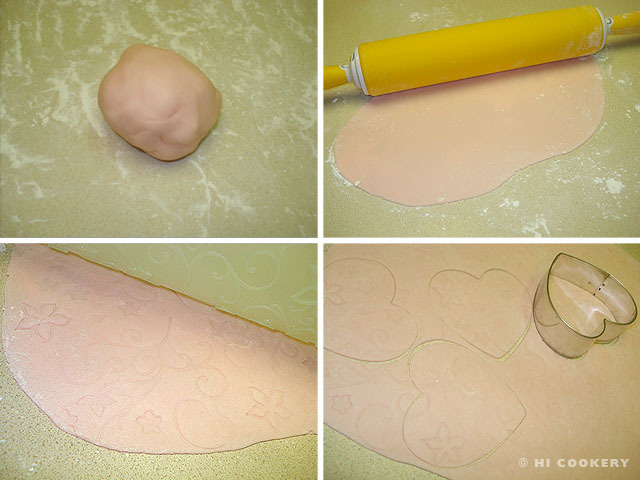 Remove the fondant and cut with the same heart-shaped cookie cutter used for the cookies. 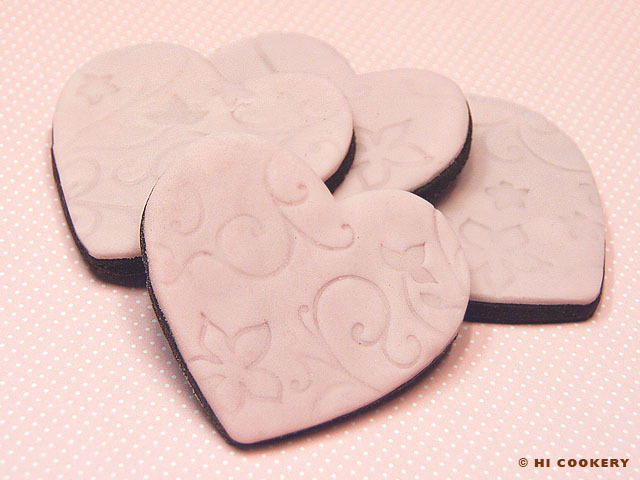 Cut out enough imprinted fondant hearts for all the cookies. Set aside in a covered container so the fondant does not dry out. Scoop out 1-2 tablespoons of clear piping gel into a bowl. 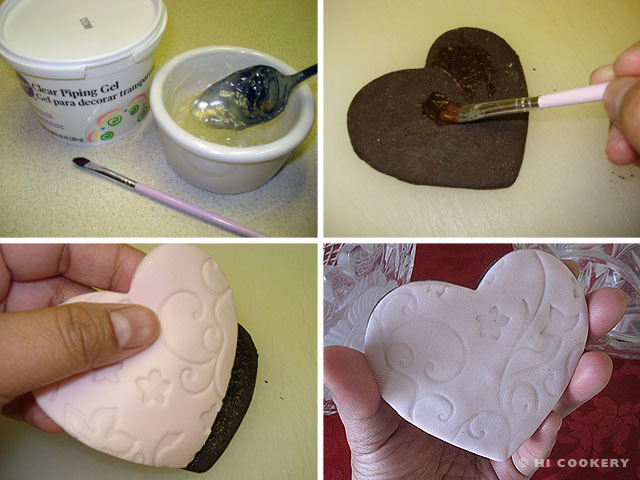 Using a food-safe paint brush, brush gel over the surface of a cookie. Place a fondant heart over it and smooth out the edges with fingertips. Repeat until all the other cookies are complete. Brush off any crumbs and powdered sugar residue from the surface of the cookies. Store in an airtight container until ready to place on a cookie platter and serve. We used a 2 ½ inch heart-shaped cookie cutter, which yielded a little over two dozen cookies. If clear piping gel is unavailable, water may be used as an adhesive between the fondant and the cookie. Thanks to Lisa L. for gifting Islander with the cookie recipe book! Happy birthday and Valentine’s Day, Lisa!